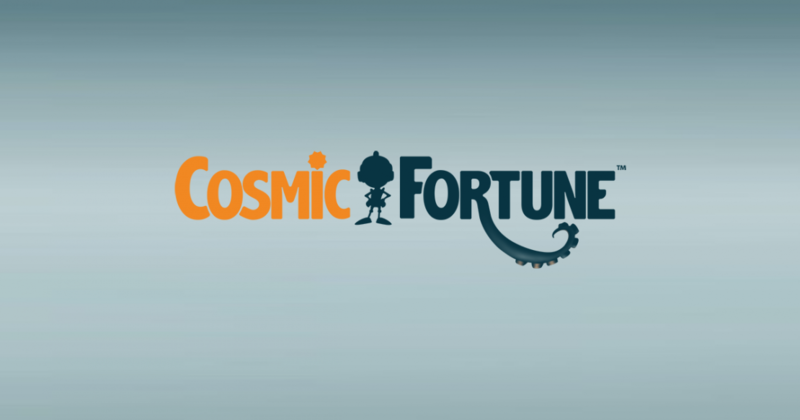 A modern slot with 5 reels from Net Entertainment, Cosmic Fortune features an unusual design, but a pleasant looking one nonetheless, lots of features, about five different progressive jackpots, and all this with 15 paylines on which the combinations will form. Even if you don’t get one of those jackpots that are mentioned at the top, you can still win the fixed prize, which goes up to $7,500. The game has a bit of a science fiction theme, with alien monsters, robots, space ships and asteroids being among the symbols shown on the reels. Most of them are encased in some sort of round metal marbles, and that’s how they appear on the reels. It doesn’t appear to have enough variety thanks to the way the symbols look, but there is no doubt that it’s a modern game, the graphics are too good to be anything else. You’re not required to decide on the number of active lines, all 15 are used, but you do get to choose the Bet Level and the Coin Value. The former will go from 1 to 10, which means that you use 1 to 10 coins on each line. The latter will start at $0.01 and will stop at $0.50. $5 line bets are allowed at the highest settings, which will turn into a total bet of $75. The Free Falls are the free spins of this game, and you get 10 rounds for the minimum of three scatter symbols, 15 for four and 20 when all five are present. As you play through this feature, and you get wins from combinations, the symbols which are involved in them will turn into marbles and they will be collected for later use. Once the Free Falls feature is complete, the Bonus Game starts up. The marbles are released by a plane flying at the top of the screen, and they will fall in the two types of Cups that are at the bottom. There are four cups for Coin Wins, and one that is the Jackpot Collector Cup. Regular wins are provided by the four smaller cups, while three marbles in the bigger cup will trigger the Jackpot feature and its progressive prizes.